Henry . Henry 4 months, 1 week ago. Android Nougat 7.1 ROM, Lineage OS 14.1 for Zenfone 2 has now arrived via an OFFICIAL LineageOS build. If you want some more Lineage ROMs for other devices then stay tuned the LineageOS 14.1 ROM page or the latest Lineage 15 ROM list of supported devices. THIS IS AN OFFICIAL NIGHTLY BUILD WHICH MAY HAVE MINOR BUGS. HAVE A BACKUP BEFORE FLASHING THIS AND TRY AT YOUR OWN RISK. Installing a custom ROM on a Zenfone 2 (Z008, Z00A, Z00D) requires the bootloader to be unlocked on the Zenfone 2 (Z008, Z00A, Z00D) phone, which may VOID your warranty and may delete all your data. Before proceeding further you may consider backup all data on the phone. You are the only person doing changes to your phone and I cannot be held responsible for the mistakes done by you. – Here is theTWRP update guide for the Zenfone 2 (Z008, Z00A, Z00D). This TWRP recovery guide requires an unlocked bootloader on the Zenfone 2 (Z008, Z00A, Z00D). Download and Copy the GApps and Zenfone 2 Lineage OS 14.1 ROM ZIP to your phone. First flash the Zenfone 2 Lineage OS 14.1 ROM ZIP from device. Then flash the GApps zip from your device memory. 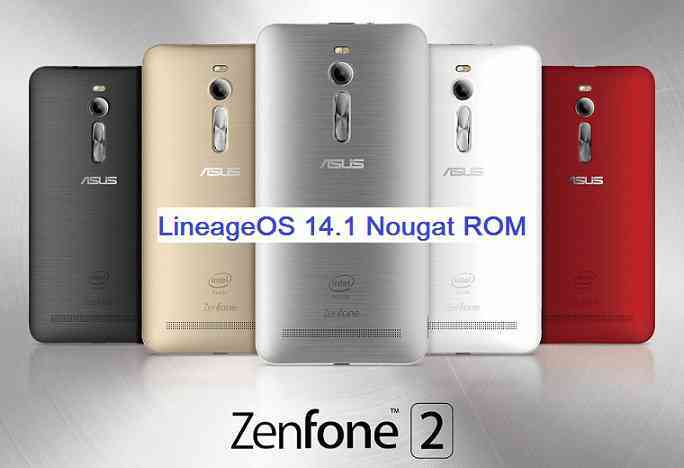 Reboot and Enjoy the Nougat 7.1 Lineage OS 14.1 ROM for Zenfone 2 (Z008, Z00A, Z00D). Copy the latest Zenfone 2 Lineage OS 14.1 ROM ZIP file to your phone. Stay tuned or Subscribe to the Zenfone 2 (Z008, Z00A, Z00D) forum For other Android Nougat ROMs, Lineage OS 14.1 ROMs, other ROMs and all other device specific topics. I had a bad week not being able anymore to run my favorite game (no judging please ^^), Angry Birds 2. Thing is, they started to check the GMS certification on every apps (as Netflix does) and this just mean for me that I can’t use them anymore on my phone. On another hand, I’ve seen here and there that Lineage OS was supposed to support GMS Certification and yet, it seems in doesn’t, at least on my Zenfone 2 (Z00AD). Did I miss a step in my LOS installation? Is there a way to get my “certified” status back? does this mod also work for an Asus Zenfone 2 ZE551ML ? Hello, I get an error: Updater process ended with ERROR 7. Error installing zip file lineage-14.1-20170811-nightly-ZOOA-signed.zip. I have a Zenfone 2 ZOOAD . I faced some problems installing on my Zenfone 2 Deluxe Z00A. Hello, my query is about the bands 3g and 4g that has activated the rom. Where can I see that information? in the original rom WW are not both, miss b28. does the update file lineage-14.1-20170901-nightly-Z00A still have problems with bugs? I doubt the ROM has something to do with the frequency support. I think it is the baseband which plays a role, which is still the same even after switching to another ROM.